What is ahead in 2014? As 2013 draws to a close, I'm looking ahead philosophically in the knowledge that my main goal for 2014 is to complete studying my Diploma of Community Services Work and Diploma of Community Development at the Kangan Institute. My studies went well during the year, and I feel a strong sense of accomplishment. 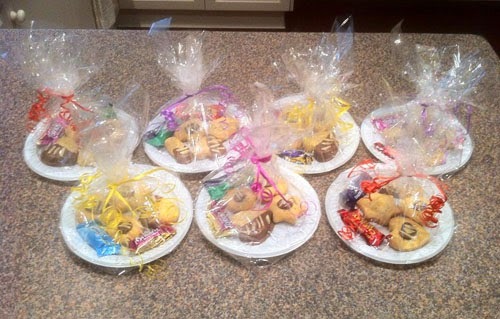 The opportunity to use my new skills has seen me move into areas where I can support people in a variety of ways. 2013 was an enjoyable year and one that presented new opportunities. I feel those opportunities assisted me to make new friends and connect and engage with people in the community services sector. I feel hopeful for my future to become a worker in the sector, however I'm aware we're in difficult times regarding employment opportunities. And this is where my life experience helps me to remain hopeful in the thought that being flexible and open to new opportunities may see me achieve a position where I can become a staff member as part of a team servicing people in our community. 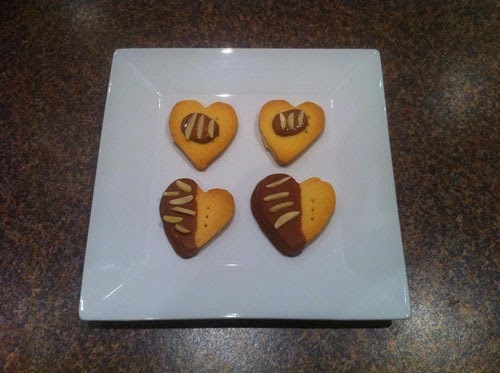 Towards the end of 2013 I made shortbread biscuits and butterfly cupcakes. No big deal I suppose, however the inspiration for doing this came off the back of volunteering with the Young Carers I work with. Youth and people younger than me have inspired me to greater heights this year and I'm grateful for the opportunity to assist and support them as they grow as people. With my TAFE studies concluding in 2014, I am mindful of further education. Undertaking a university degree would be challenging and rewarding. I believe education is an important pathway to skills development and making new friends and industry connections. The Bachelor of Social Work is a degree that interests me and I may be investigating this further. New technology is something else that I'm mindful of keeping up with, and recently I've been checking out the Apple iPad and Samsung Galaxy tablets. Having purchased an iPhone in 2013, I believe it's important to keep moving with the times so as to be contactable whilst also wanting to enjoy the functionality of these types of devices. I'm hoping that 2014 is at least as good as 2013 because I'd like to build further upon the good things I've been involved with as a student studying community services work and community development at TAFE. 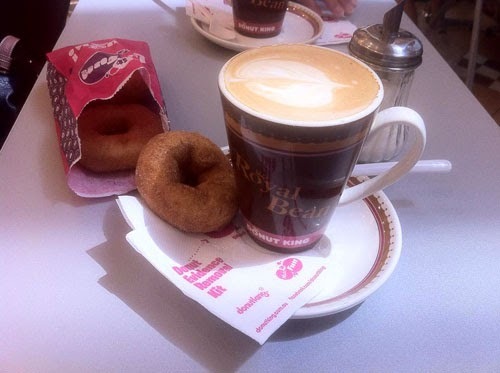 Bronwyn and I enjoyed shopping and coffee together this afternoon - the last day of 2013. It's something we've done regularly through the year because we've needed time to chill out together and just chat about stuff. Good fun and an opportunity to share our respective experiences. I feel it's important to spend time together like this as it just gets us out amongst the hustle and bustle and seeing people going about their lives. 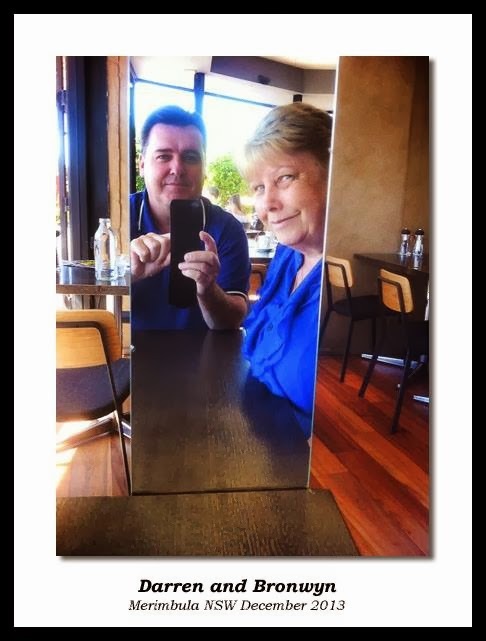 And here's one of my favourite images of Bronwyn and I together whilst on holiday in Merimbula, New South Wales. We had a great time sightseeing, visiting places, and enjoying a rest and each others company. My favourite song for the year is Roar by Katy Perry. I find this such an uplifting and inspiring song. Enjoy! One of the great functions of YouTube is that you can create your own Playlists. So, being a long-time fan of Jimmy Barnes, I've created a playlist with some of my favourite Barnes songs. 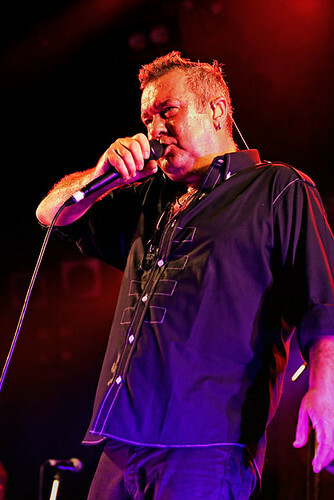 A few years ago I had the pleasure to photograph Jimmy Barnes during an outdoor concert in Melbourne and I have to say it was a great experience. I've seen him perform four times since the late 1980s and believe he is one of Australia's great rock and roll singers. Maybe the best. Enjoy! It's been an amazing year. I know that sounds a bit clichéd, but it has been. 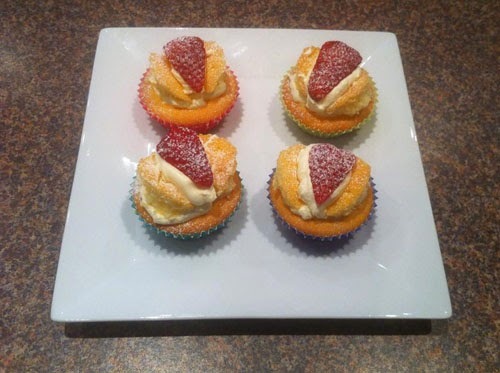 In February this year I engaged in a whole new career direction and commenced studying the Diploma of Community Services Work and the Diploma of Community Development at the Kangan Institute Broadmeadows campus. I feel satisfied with the quality of work I've completed this year and the various achievements whilst studying. I went the extra mile in assisting and supporting some student peers, and that was kindly provided to me in return. During my studies on-campus during the year, the highlight for me was co-facilitating an R U OK? Day education and workshop session with study buddy Kerryn Hardstaff. Our training during the year led up to this high point where we both delivered the 1-hour session seamlessly and with a high degree of confidence. The session gave us the opportunity to educate our peers about mental health, whilst facilitating their creative ideas during the workshop. I feel proud of how Kerryn and I carried out this whole assignment from start to finish where we worked closely on developing the concept and then all the way through to delivery. I believe the high quality of our work was accurately reflected in the feedback by our trainer Marta Kreiser where she described the session as "excellent". 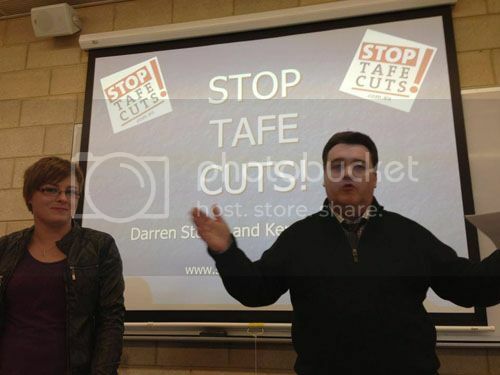 Kerryn and I protested the funding cuts to TAFE during a class this year. TAFE is providing us with the opportunity to learn the skills we need as community services workers and I believe it needs to be protected and restored to where it was before the savage funding cuts were commenced. During my 20-hour student placement in September-November, I was able to experience the operations of a mental health outreach agency in Sunbury. I loved the opportunity to be on placement at the Western Region Health Centre Hume Community Mental Health agency as it gave me the opportunity to observe experienced workers and learn from them. I was fortunate in that I had the opportunity to work with some clients, with the two highlights being mentoring a client regarding travel training, and planning and co-leading a client group outing to Bendigo. I enjoyed being part of a team and believe I gained a good working knowledge of what it's like to be a mental health outreach worker. In studying the diplomas this year, it has opened some doors for me. I have become involved in the community services sector as a volunteer and that has provided me with good opportunities to work with experienced staff and volunteers. 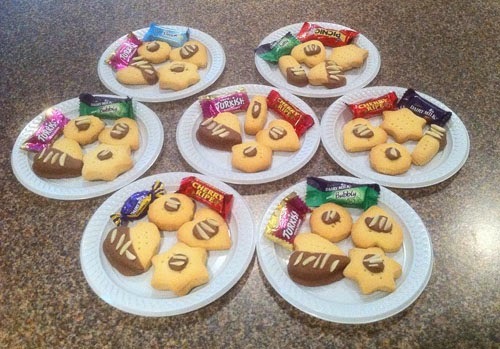 I've commenced volunteering activities with Merri Community Health Services as part of their Young Carers program, and I'm involved in providing 1:1 social and recreational support to a person. These activities are good fun and an opportunity for me to support people in our community. I want to thank my family for their tremendous support during the year. Without them I would not be able to do what I'm doing. To my partner Bronwyn, Mum, Dad and my brother Matthew, you've been awesome. I want to thank my TAFE teachers for guiding me towards my goal of becoming a paid community services worker, which I hope to achieve in 2014. Special mention to teacher Marta Kreiser, who I believe went the extra mile with our student group in what were difficult circumstances regarding TAFE funding cuts. I nominated Marta for a teacher's award with Hume City Council in 2013 due to the brilliant work she carried out with our class. She didn't win the award, but she won the students! I want to thank my student peers for their support and encouragement, and in particular to study buddy Kerryn who has been fantastic to work with on various projects. A generous person indeed. I want to thank my mentor Graeme, who provides me with emotional support and encouragement. He and I have regular conversations where we share information and ideas. I learn a lot about mentoring and counselling from Graeme, and I believe it helps me when I mentor and counsel people. I realise there has been many other people who have supported me during 2013, and I want to thank you all for giving of yourselves. Cheers.